What up everyone. The transition from Standard to Expanded is always exciting and one I have enjoyed over the last few seasons. Even when Expanded feels very stale and broken, the sheer number of possible combinations available leads to some interesting and fun thought experiments. With the recent bans of key, oppressive cards, this process is more exciting than ever. The other writers have laid a good framework for what to reasonably expect in Expanded, but I would like to offer some of my thoughts on that as well. Then we can jump into some other decks that have potential in such a large card pool. The biggest piece of advice I can give you for the upcoming Regional in Portland is this: expect the unexpected. I think lots of players will try to take whatever deck they find the most interesting or fun and attempt to make it work for this tournament. Though there are established powerhouses, the format is undeniably more accessible to random decks than it was back in the spring for Roanoke. This will lead to lots of pet decks. There is no reasonable way you can prepare for everything, so try to give some thought of how whatever deck you decide to play will play against different types of decks. Looking back at Christopher’s initial article last week, we can think of different categories of decks like Item-lock (Trevenant, Seismitoad), aggressive decks (Buzzwole, Night March), aggressive – control (Zoroark), stall (Wailord, Sylveon), one-prizers (BuzzShrine, Night March), etc. Some decks cross over two or more of these categories. Even if you don’t play games against everything, you can still do some mental preparation for these broad categories. With that said, Trevenant and Buzzwole are the two decks I would absolutely not want to take bad matchups to in Portland. These were arguably the most successful decks in Roanoke, even with Zoroark still being a powerhouse. The loss of Wally in Trevenant is almost negligible – I discussed dropping Wally at length with many players even when it was legal. Buzzwole has lost nothing except the fact that Zoroark is no longer the de facto best deck, so it has lost its best popular matchup. On the other hand, Night March was its worst matchup, and Night March has gotten weaker as well. Both of these decks are extremely powerful and probably the best at what they want to accomplish. 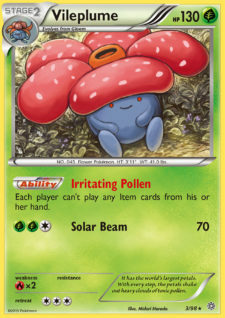 For every idea I have, I immediately ask myself “can it beat Trevenant and Buzzwole?” If the answer is no to both, the deck is discarded outright. If the answer is no to one of them, I will consider it and attempt to fix it so it can compete. Other decks that I consider very strong and would want to have good matchups against include Garbodor decks (Drampa, BuzzShrine variants, Necrozma/tech attackers, Zoroark, etc. ), Zoroark, and Archie’s Blastoise. Night March and Gardevoir feel weaker than before but still deserve some respect. I’ll defer to other’s articles on lists for these decks as well, but I do want to note that I think a Magcargo list of Buzz/Garb, similar to the one in Standard, seems potentially stronger than an Octillery version. Additionally, if you are running Octillery in the list, I would consider a split between Shrine and Brooklet Hill. We played a 2/2 split of these Stadiums in our Worlds list and it made the deck much more consistent. Shrine is not super useful in a lot of matchups and often you do not need more than two in any given matchup. The moniker “Shrine decks,” I think, is a bit misleading in this way. With that big picture stuff out of the way, let’s look at some different decks that have some potential in our new Expanded world. I last discussed Vespiquen in my January article pre-Dallas. While Vespiquen has not seen much success in recent Expanded events, I think it has potential to make a comeback with the newly banned cards. Night March has historically just been a “better” Vespiquen, but now without Puzzle of Time, the benefits of Vespiquen may outweigh the more straight-forward, tech-heavy deck that is Night March. Vespiquen bounces back from Karen better than Night March now, has better typing, and more HP. It also has a higher damage cap, though it can take longer to hit big numbers. A Zoroark list, much like the one in the last article. There are obviously changes that need to be made, but the core idea is still there. Zoroark is obviously great for consistency and it can also safeguard against Karen. Furhter, having a Dark attacker for Trevenant is invaluable. However, Zoroark can be a liability against Buzzwole. With Flareon, like successful Vespiquen lists of the past. Tried and true, this variant gets to utilize Blacksmith to aid against stall decks and other decks with Enhanced Hammer. Umbreon DEX has always been tossed around as a potential counter to Trevenant as well. A completely non-EX/GX list, utilizing Shrine and Counter Energy. Taking the success of single-prize attacker decks in Standard back to Expanded, Vespiquen is as strong of a non-EX/GX Pokémon as any. This could mean pairing Vespiquen with a host of things, including Garbodor, Buzzwole, Tapu Koko, and more. The list does not deviate from the core that has seen success in formats past, but I have included some tech choices relevant to our format. Giratina, along with basic Energy, should make the Trevenant matchup manageable. With Mr. Mime, Buzzwole should not be able to gain too much leverage on you via Jet Punch and you can trade more favorably than them. Resource Management Oranguru gives you a way to get back Battle Compressors, but more importantly helps against stall decks. This might be an unnecessary inclusion with Blacksmith+VS Seeker in the deck, but I had one spot open that needed to be a Pokémon, so it made sense to me. Klefki could fill that spot as well. Marshadow SLG might not be a bad inclusion either. Other decks will have trouble keeping up with the single-prize, high-damage cap that Vespiquen brings. Drampa/Garb seems like the biggest problem matchup with Parallel, Trashalanche, Garbotoxin, and Oricorio. If you are worried about that, fitting two Tropical Beach or Field Blower seems like a good option. I would be interested in trying a list without Shaymin-EX or Tapu Lele-GX, so to make the deck completely two-prize free. This would likely necessitate a change of the list to include Octillery, Archie + Swampert, or Magcargo with Acro Bikes. We would likely have to cut down on the Flareon line, but otherwise, I think this idea has a lot of merit and is worth exploring. This next deck is my favorite so far from my testing. It has its roots in a few different places: Alolan Exeggutor FLI got some hype towards the end of last season after seeing some moderate success in Madison. My friend Bryan tried at length to make it work for the Worlds format, but ultimately it would lose to Zoroark+Acerola too consistently. More recently, an Exeggutor/Sceptile deck Top 4’ed in Japan’s last large event, which will likely translate to success in Standard here when Lost Thunder is released. At my Cups this past weekend I talked to some people that had some ideas for it in Expanded. One person discussed using Trashalanche Garbodor as a secondary attacker, which seems pretty solid to me. However, I want to explore a slightly different take on the Egg and abuse Propogation to its fullest: trying to use Archie. Let’s take a look. This list is certainly not refined, but I like the general idea behind the deck: be a powerful single-prize attacker deck and utilize some of the most broken combos Expanded has to offer. Archie’s with the new Swampert gives you a super-Trade every turn and Exeggcute enables this combo even further. Compressor + Exeggcute + Ultra Ball + VS Seeker is an insane Trainer engine and sets up quite consistently. This deck regularly gets a T1 Archie off, though it is not mandatory for the deck to function. Exeggutor having 160 HP as a single-prize attacker makes the deck be able to play a long game, and should grind through most of the threats in Expanded. Our tech Pokémon are part matchup-specific and part universally helpful: Mr. Mime for Buzzwole so Jet Punch doesn’t ruin our day, and Sudowoodo to make Zoroark have to work for its OHKOs. Oricorio is mostly for Night March/Vespiquen but is also useful in general, as we don’t OHKO EX/GXs, but Shrine can make it so we do not always need a full back to back 120 damage to take them down. Oricorio gives us a way to poke through and add extra residual damage. Similarly, Buzzwole is awesome against Zoroark, giving us a surefire way to take an easy two prizes, but is also just great as a general attacker on the Sledgehammer turn. It also takes some pressure off our Grass Energy in case a few get discard early game while trying to set up. A single Tapu Lele-GX is needed to help ensure the early Archie, but we include AZ/Acerola to hopefully pick it up before it becomes a liability. The trainers are pretty straightforward—we have to play a lot of Items to help set up the Archie, but we still want enough Supporters to set up through Item lock and get us through the game. Of these, I would most want a second copy of Guzma. Note the inclusion of Muscle Band over Choice Band. We are not looking to score OHKOs on GX Pokémon, instead simply wanting to take 2HKOs and trade favorably with our GX-like HP. Muscle Band helps tremendously against the 130 HP Pokémon that are out there: Buzzwole, Volcanion, Yveltal, and more. We may be able to run only two copies, but I like the safety of having three. I think three is important to beat Buzzwole-based Shrine decks, which are poised to be a strong force in the metagame. I would like another copy of Shrine, but don’t want them to bog early hands down too much and prevent Archie’s. With a guaranteed turn of items, we should be able to get ourselves set up enough that Trevenant’s ability won’t completely lock us out of the game. 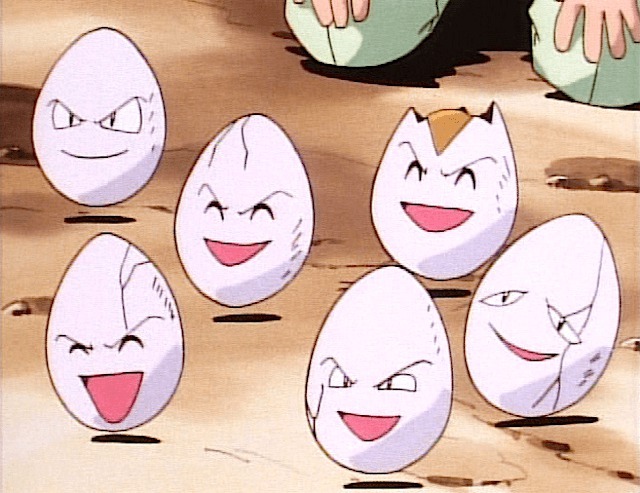 We may need to play one or two “other” Exeggcute to get around Silent Fear as a way to lock us out of Exeggutor, since the PLF one only has 30 HP. However, this threat is a bit delayed now without Wally, so we have a few turns to get our Exeggutors on line. If we can set up two Exeggutor, I think it would be hard for Trevenant to keep up. We have so much HP, attack for a single basic energy, and can OHKO Trevenant if we get enough energy in the discard early on. Buzzwole should have a tough time dealing with the single-prize attackers that we play. Lycanroc becomes basically useless. We may want to consider a Mew-EX to OHKO Buzzwole, as if they can get a three-energy Buzzwole quickly that could prove to be a problem. Similarly, once they are in Beast Ring territory, they can easily trade 2-for-1 while we have to set up more attackers. Oricorio is a good attacker here to help the 2HKO game and only needing a basic Pokémon and any energy to hit. Garbodor could give this issues, but we do trade evenly. They will want to commit a Trubbish to Garbotoxin at some point to combat our Swampert, so that gives us a chance to get ahead in the attacker race. If they have to use Drampa or Lele in a game, we should be in good shape. This should have a good chance against a lot of other decks, since we can trade pretty well and recycle our attacker via Propogation and a single Rescue Stretcher can get Exeggutors back. Blockade Exeggutor – a way to autowin Wailord and would certainly be useful at random times. Swampert PRC – with the Archie Engine, this could be better than two Swampert CST, but I think we will always want Swampert CST and won’t usually have enough time to get a second Archie off. Empoleon DEX – Though its ability is strictly worse than Swampert’s, this can also attack. If Fire decks end up becoming a threat again, it would be nice to have this to take a clean OHKO on a Turtonator-GX or Volcanion-EX once in a game. We could run one of each Swampert and Empoleon and play a second Water Energy if we wanted to include this. Oranguru UPR – another card to help against stall decks and just help recycle resources in general. Giratina – this would push the Trevenant matchup even further in our favor. By stopping them from playing the BREAK, we can always take OHKOs on their little Trevenants. The biggest worry here is getting Giratina stranded in the active spot and no access to switching. With a second Guzma and AZ over Acerola, this could be fine. Laser + Virbank – Another way to add damage to hit relevant numbers. I’m not sure how this would affect the consistency of Archie’s as it would take up more space, but it could be good. We would also consider moving back to Choice Band with this, as Laser gives us a way to hit 130 and then with Choice Band + 30 damage from Laser, we might be able to score some OHKOs on EX/GX Pokémon. Field Blower – Parallel could be annoying both ways for us, as well as Garbotoxin in the later game. More Stretcher/Super Rod, less Buzzwole – Buzzwole might be too cute to try and make work in this deck. We could simply play a 2nd Stretcher to ensure we get to attack with six Exeggutor and just generally stream attackers more consistently. Other tech Pokémon that might fit in the list include Tapu Lele (Fairy or Psychic), Oricorio (Lightning), and Smeargle to help switch to the appropriate energy card and ensure you do not run out of Grass Energy. Seems decent with Hex being banned. Not sure what the best partner would be. Tapu Koko-GX + Acerola is definitely intriguing, as is Decidueye. Zoroark is also always a solid option. With Puzzle banned, energy disruption will be even more powerful. Seismitoad has the opportunity to capitalize on this more than many other decks. Something similar to the Zoroark/Seismitoad lists from Dallas last year could be strong, with a heavier emphasis on supporter energy removal in Team Flare Grunt and Plumeria. The biggest reason Turbo Turtles fell off the map as quickly as it came on was the dominance of Zoroark-GX. With Zoroark seemingly losing some traction, perhaps the new Fire tools in Dragon Majesty, along with Blacksmith, could push this archetype back into relevance. 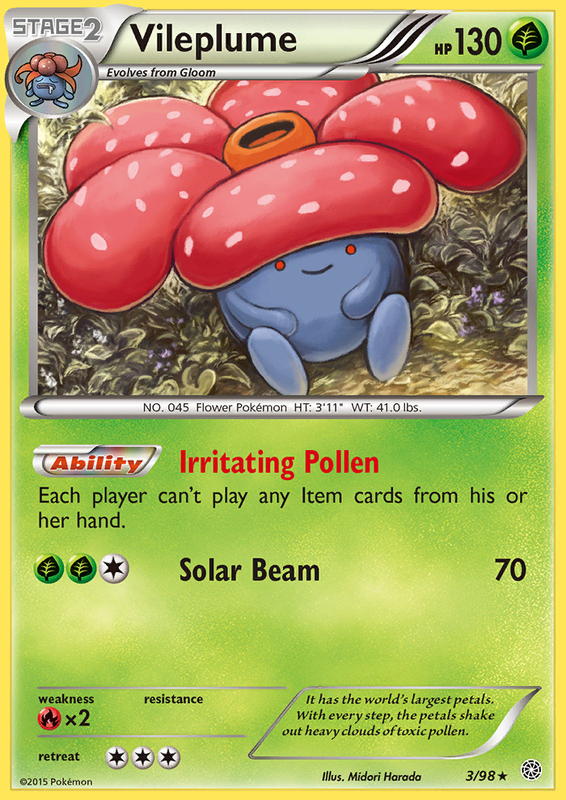 I don’t think Durant can deal with Trevenant or Buzzwole, but I love the deck and want to give it a shout out in a format without Puzzle of Time. I still don’t think this can compete with Zoroark, and I am doubtful on Buzzwole as well, but I feel like there is something here. Could Guzzlord-GX + Scramble Switch or with Lance + Hydreigons be enough? (shameless plug: very soon after the release of this article I will have a podcast episode up featuring Israel Sosa, who will shed some light on if Yveltal is actually viable again in Expanded or not). As Christopher mentioned in his first Expanded article, the ability to Lance out Goodra makes Shock Lock potentially relevant again. It still has no good answer to Trevenant, but it can at least deal with Garbotoxin again. I wouldn’t want to play this in Portland, but if you think you can dodge the Trees, then maybe it could be good? I wanted to write more about Malamar, but I’m not sure the best direction to take the archetype. 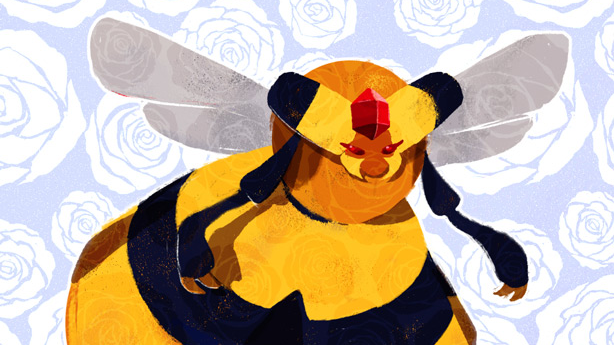 It seems strong in a format where Buzzwole and Trevenant are the decks to beat, as you can run Giratina with little consequenceand naturally have an advantage over Buzzwole. Zoroark and Drampa/Garb will still likely prove problematic, as Parallel City is the deck’s biggest weakness. I wouldn’t be surprised to see someone do well with some form of Malamar, though. Other “forms of Malamar” that could be successful include Eelektrik and Bronzong. I think Malamar seems like the most consistent, with its ability to utilize Mysterious Treasure, but these other types are worth considering. Most notably, Eelektrik gets access to Rayquaza-GX and Bronzong has a suite of new Metal attackers, like Dialga-GX and Dusk Mane Necrozma-GX. This is a combo that came out of Japan and that Zander Bennett found some success with at Cups late last season. With Hex Maniac gone, I think the deck has a lot more going for it. The idea is to use Marshadow-GX with Diancie Prism Star to Quaking Punch early game and set up a turn where you use Timeless-GX via Dialga-GX for a KO, followed by a Meteor Tempest via Dusk Mane Necrozma-GX. This four-prize swing can win the game on the spot or at least set you up for a win in the following turns. The deck has some other nice tricks, like utilizing Timeless-GX to take two turns and put your opponent’s hand to zero with Ace Trainer + Delinquent in subsequent turns. Then Quaking Punch makes them not able to play items. Milotic accelerates Energy and enables this combo as early as turn two. I really like this deck because it showcases how old cards can interact with new cards in very unique ways. It also is a showcase of how broken Expanded can be, but no necessarily in an oppressive way. That said, I think it is probably a bit too inconsistent to be a top deck and will likely have some trouble with Trevenant. Still, this is something that I would want to mess around with for future Expanded events where the meta is a bit more predictable. With Hex Maniac gone, Sigilpyh PLB can always hold four tools with no worries (except versus Garbotoxin or Alolan Muk). This has potential to be the best single-prize attacking deck because of the simplicity of what it needs to keep going: a basic Pokémon and a basic energy. It does need a Stadium, but we even have Lusamine now to ensure we do not run out of Dimension Valley. This deck will probably destroy Buzzwole, but has very little chance of ever beating Trevenant. Alas, I don’t consider it particularly viable. That’s all from me. I am excited to see what happens in Portland and I am potentially even more excited to see how Lost Thunder affects…everything. Though, I am not excited for how it will affect my wallet! So many of the cards seem not just viable, but meta-defining. I’m done with tournaments until the second half of November. There is a chance I’ll be in Roanoke, but I doubt it. Dallas will be my next definite Regional, so until then it is just quarter two League Cups to look forward to. Look out for new podcast episodes dropping in the meantime. Thanks for reading!